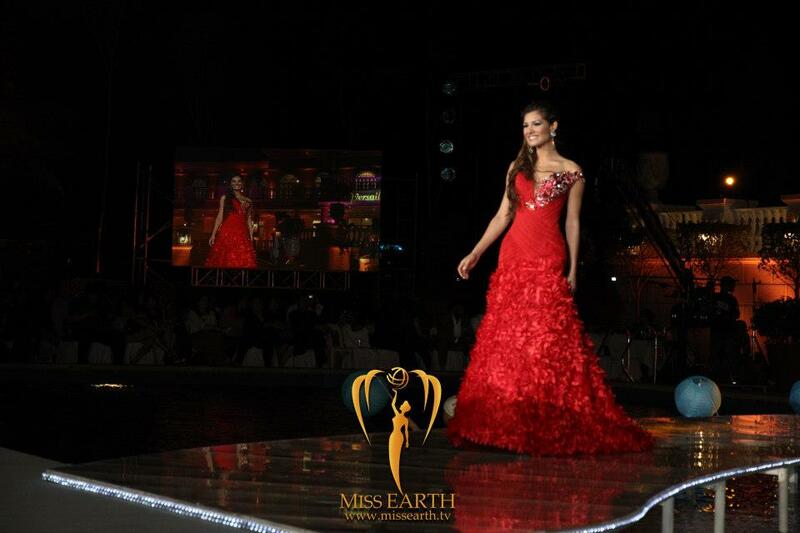 The 2012 Miss Earth Pageant took place at the Versailles Palace in Alabang close to Manila on November 24. The winner of the pageant was gorgeous Tereza Fajksova from the Czech Republic. I watched the pageant live on Starworld and also followed the pageant actively during the run-up to the final. Before the pageant, I released my Miss Earth 2012 Final Stairway to the Crown. There were actually quite a few surprises this year but that's not something new for this pageant. The real judges only agreed with half of my choices. In stead of Thailand, the Netherlands, Malaysia, Kenya, Turkey, US Virgin Islands, Puerto Rico and the Dominican Republic they opted to include Nepal, Russia, Germany, Italy, Japan, Korea, Mexico, and Scotland. The biggest shock, of course, was the exclusion of mega favorite, Miss Thailand. Russia: 9.4 - She looked absolutely sizzling hot. South Africa: 9.3 - Polished and prepared. She came out fighting. Germany: 8.0 - I loved Germany's interesting features. Not your typical pageant face but a breath of fresh air. Venezuela: 8.9 - The overly dramatic moves were a bit too much for me. Gorgeous girl though. Korea: 8.2 - Pretty girl but the walk was so bizarre. Italy: 7.6 - Nice surprise. Very elegant but just a bit too raw. Mexico: 7.9 - Mexico looked so top heavy that I thought she was going to fall flat on her face. Nepal: 9.0 - Nice surprise. She looked great. Scotland: 8.7 - Gorgeous face. I am glad she made it. Costa Rica: 9.2 - Absolutely stunning. Very prepared. Poland: 8.8 - Gorgeous girl but trying way too hard. Japan: 8.85 - Much better than I expected. Czech Republic: 9.5 - Gorgeous and fierce. Owned the runway. Brazil: 9.1 - Stunning beauty and she was working it. Philippines: 8.8 - She was looking better than at the press conference but I wasn't too happy about her inclusion in the top 16. USA: 9.3 - Super prepared and ready. She worked it. Based on the swimsuit competition, I would have voted Czech Republic, Russia, USA, South Africa, Costa Rica, Brazil, Nepal, and Venezuela into the top 8. The judges agreed with 7 of my choices but included Philippines instead of Costa Rica. Miss Costa Rica was ROBBED. Czech Republic: 9.7 - Amazing! My clear favorite for the title at this point. South Africa: 9.5 - Gorgeous gown. She was doing everything right. Philippines: 9.0 - At least she had a gorgeous gown. Nepal: 9.2 - Nepal was looking great. The surprise of the night. Russia: 9.6 - Russia was just on fire. Gorgeous in gold. Venezuela: 9.4 - Venezuela is gorgeous but I hated her Stefania Fernandez Miss Universe 2009 copycat dress. USA: 9.5 - I didn't like Siria's hair in the evening gown competition but I guess she got sick of pulling her hair from her mouth because of the horrible wind. She wore the red version of the dress Alyssa Campanella won Miss USA in. Brazil: 9.49 - Too gorgeous to ignore. I would have advanced Czech Republic, South Africa, Russia, and USA to the finals but judges only agreed with Czech Republic. They also sent Brazil, Venezuela and Philippines (rolling my eyes) to the top 4 round. Brazil: 80 - Her answer did not make sense at all. Venezuela: 95 - Not my favorite but she delivered well. Philippines: 84 - Her answer had the most substance but I hated her delivery. The screaming got on my nerves and it was overly dramatic. Czech Republic: 90 - MY FAVORITE but my heart stopped when she did not know how to answer the question. She handled it very elegantly but still I had to be fair and score her lower because she didn't answer the question. I was pretty sure she lost the crown. Miss Air: Czech Republic (Real placement: Miss Earth 2012) - I wanted her to win and I am actually super, super, super happy that the judges didn't let the final question stop them from crowning her. For once, I'm happy to be wrong. Miss Earth 2012: Venezuela (Real placement: Miss Water) I felt that she just did everything right and she was gorgeous so she deserved it but I would have been unhappy if she really won because my heart just belonged to Czech Republic. She should have been Miss Air at least though. I would have crowned Venezuela as Miss Earth 2012 but I am happy to be wrong. Czech Republic is amazing.